Walter Sinnott-Armstrong is Chauncey Stillman Professor of Practical Ethics in the Department of Philosophy and the Kenan Institute for Ethics at Duke University. He is core faculty in the Duke Institute for Brain Sciences, the Duke Center for Cognitive Neuroscience, and the Duke Center for Interdisciplinary Decision Sciences. He serves as Resource Faculty in the Philosophy Department of the University of North Carolina at Chapel Hill, Partner Investigator at the Oxford Centre for Neuroethics, and Research Scientist with The Mind Research Network in New Mexico. He has visited recently at National Cheng Kung University in Taiwan (2010), the Macquarie Research Center for Agency, Values, and Ethics in Australia (2011), and the National Institutes of Health in Washington (2011). 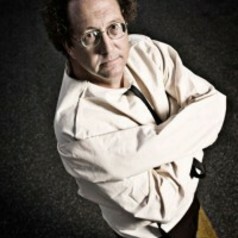 He has received fellowships from the Harvard Program in Ethics and the Professions, the Princeton Center for Human Values, the Oxford Uehiro Centre for Practical Ethics, the Center for Applied Philosophy and Public Ethics at the Australian National University, and the Sage Center for the Study of the Mind at the University of California, Santa Barbara. He is co-chair of the Board of Officers of the American Philosophical Association and has been co-director of the MacArthur Law and Neuroscience Project. He earned his bachelor’s degree from Amherst College and his doctorate from Yale University. He has published widely on ethics (theoretical and applied as well as meta-ethics), empirical moral psychology and neuroscience, philosophy of law, epistemology, philosophy of religion, and informal logic. Most recently, he is the author of Morality Without God? and Moral Skepticisms as well as editor of Moral Psychology, volumes I-III. His articles have appeared in a variety of philosophical, scientific, and popular journals and collections. His current work is on moral psychology and brain science as well as uses of neuroscience in legal systems. He is also working on a book that will develop a contrastivist view of freedom and responsibility.